“Jet” was bred and raised by Randy and Sue Rist. Blazin Jennie Jet, his dam, was purchased as a 3 year old by Randy in 1986 in Snohomish, Washington. 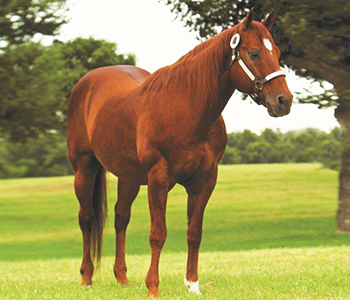 She was sired by a local up and coming stallion named “Jet of Honor.” She went on to become an extremely talented barrel and gymkhana horse, setting many local arena records. Ridden by Sue, she earned over $20,000 at open jackpots and amateur rodeos. She was entered in a few PRCA rodeos and won a go at the Puyallup Pro Rodeo. Jenny was laid to rest in 2001. Lenas Sugar Daddy, Jet’s sire, was owned by Wayland and Elaine Heatley, of Marana, Arizona – he was born in 1978, and purchased from Shorty Freeman (Doc O’Lena’s owner and trainer). Lenas Sugar Daddy was injured as a two year old thus limiting his show career. His sucess is as a sire where his offspring have won numerous roping, barrel, cutting and reining titles. Lenas Sugar Daddy was laid to rest in March of 2011, at 34 years young. Lenas Sugar Daddy was sired by the great Doc O’Lena, whose accomplishments in the cutting industry are too many to list. Shorty Freeman was quoted as saying “I didn’t train Doc O’Lena anyway; he trained himself. I always had to ride him last in the training program, ’cause if I didn’t, I’d be mad at all the other horses in the barn. He was just that good.” Everyone who has ridden Jet uses this quote!